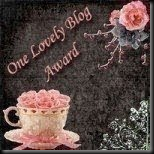 September 2010 is the 1st anniversary of Evening Lavender's blog. 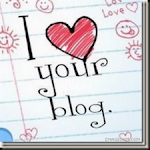 Thanks to all my lovely followers, fellow bloggers and silent readers who faithfully read and follow this humble blog. First of all, I would like to introduce to you Apothica.com, an online beauty store that offers a wide array of beauty products that ranges from cosmetics , fragrance, skincare and haircare. I am so thrilled to see so many reputable brands that are offered at Apothica.com. One of the skincare brands that caught my attention is none other than Jurlique. Jurlique skincare contains natural plants and herbs grown in South Australia. I have tried their products before and I simply love the rose facial mist. I am pleased to announce that Apothica.com has so kindly sponsor a USD25 gift certificate for one lucky winner to be used at SkincareRx.com, Apothica.com and SkinBotanica.com. 1. This giveaway is opened internationally. 2. To enter you must be a follower of this blog via Google Friend Connect. If you are not a follower yet, please click on the Follower icon on the right hand side of this blog and follow the instruction. 3. Please state your follower ID and email address followed by your comments. Note: Your email address is very important as I will pass your contact information to the sponsor for them to email you the gift code. 4. Closing Date is 20 October 2010 at 12 midnight (Malaysian time). a. Must have a minimum of 100 words and use a pre-defined anchor text and link to a specific page. 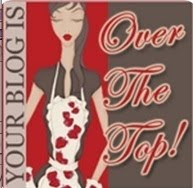 Note: Two additional entries for posting this giveaway on your blog. Hurry, submit your entries and good luck! Hi there, great giveaway. 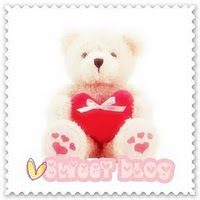 :) I am a follower, and my follower ID is Ashwini, and my email is arya.at84@gmail.com. I have followed Apothica.com on Twitter and retweeted about this giveaway. Awesome giveaway :) I love that Apothica have brands like Too Faced at the US retail price and ship internationally - it's so hard to get some brands here, and theyre usually at a prohibitive price. I'm already a fan of them on FB (Jerry Dazzlepants), and following them on twitter (@jerryfetus) and have subscribed to their newsletter under the same email listed above. I just found out about Aphotica and love love love them! They bring in so many products!! I just have to get my hands on the smashbox primer now! Enter me, please. I did all the entries! 7) comment about apothica: it is a great site. I have bought things from there myself. I love their products and the shipping is so fast. I'm a fan of Apothica.com Facebook. I follow Apothica.com on Twitter as "calidreamin87"